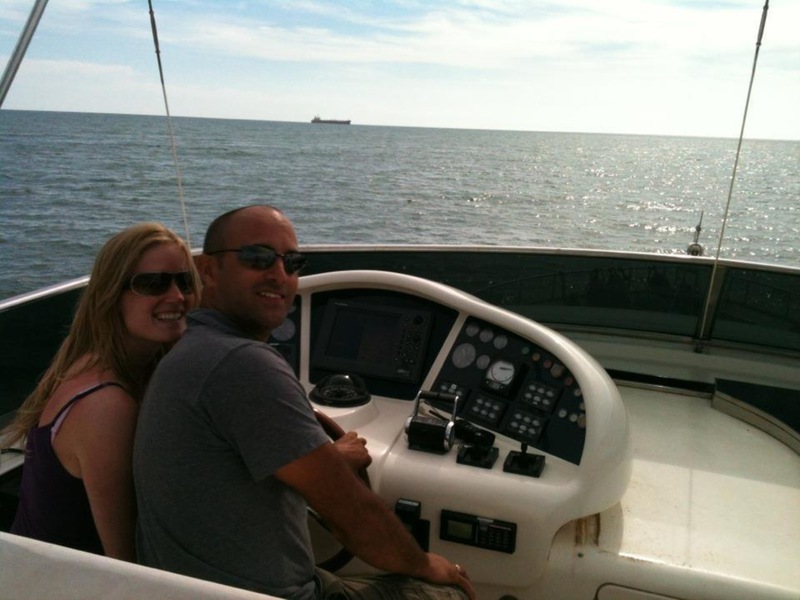 I’ve had so much fun on Captain Tony’s boat! 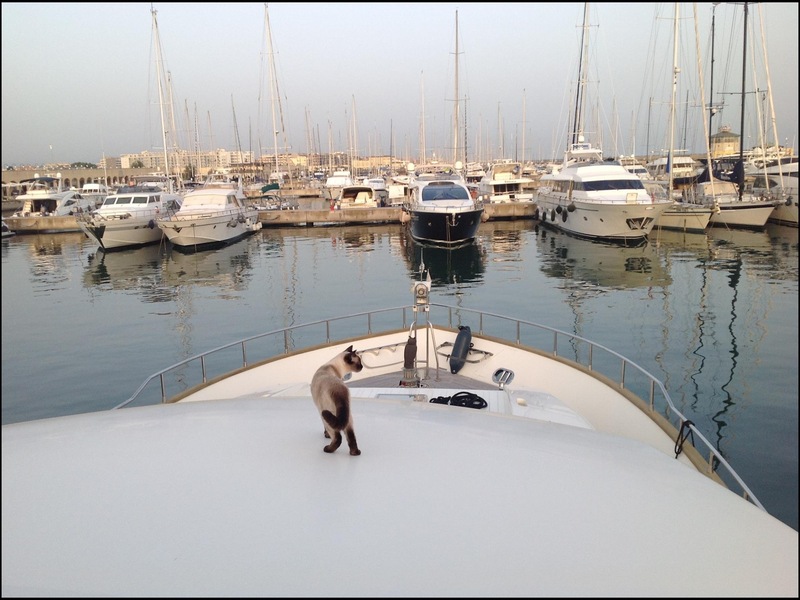 It’s a great playground for boat cats! 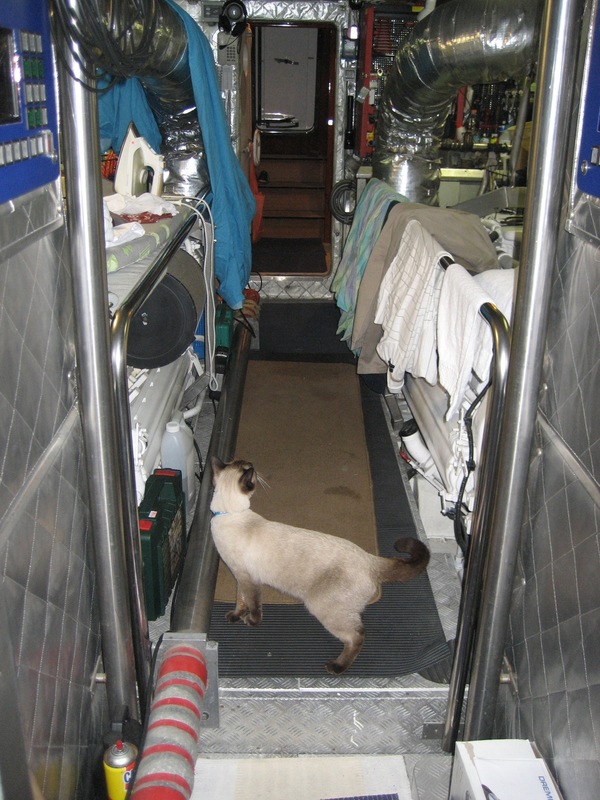 Since I was a wee baby boat cat I’ve been lucky enough to have been invited aboard lots. I love exploring! My humans love it too! The kitchen is cool, it’s so shiny and lots of times I’ve been lucky enough to get some special food! 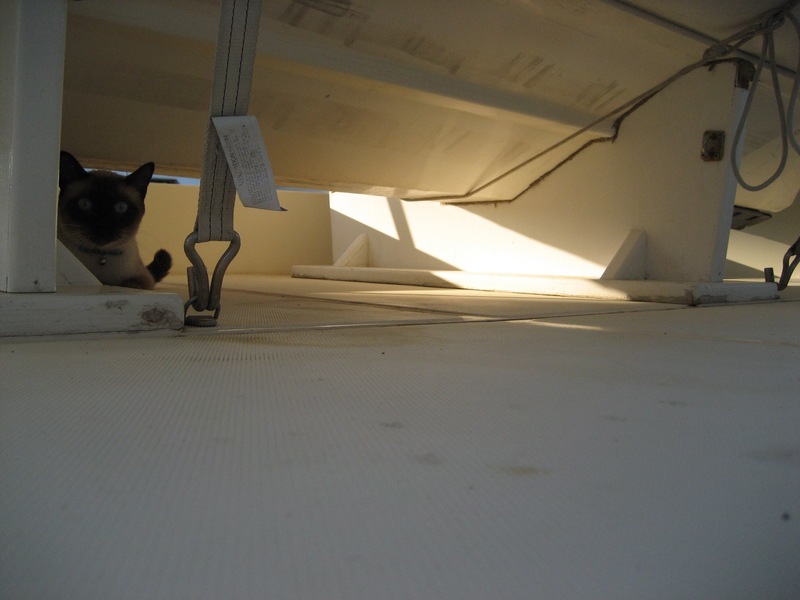 I like chilling out under the tender upstairs. 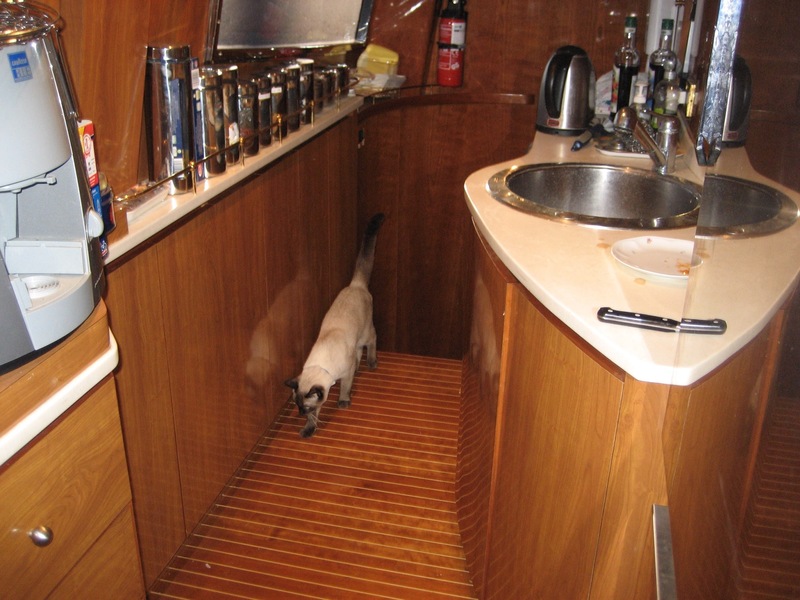 It’s the best part of the boat with soo many places to sneak into, climb up on and sniff around! 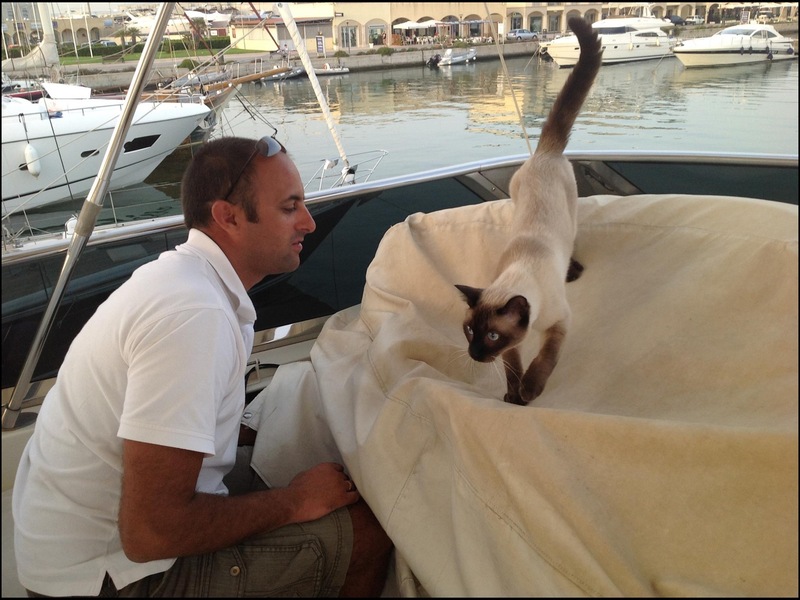 I’m missing Captain Tony lots but we have such wonderful memories of fun times on his boat! We are very lucky to have him as our friend! Well Bailey, you’re living the dream and we all wish it was ours. Happy day! 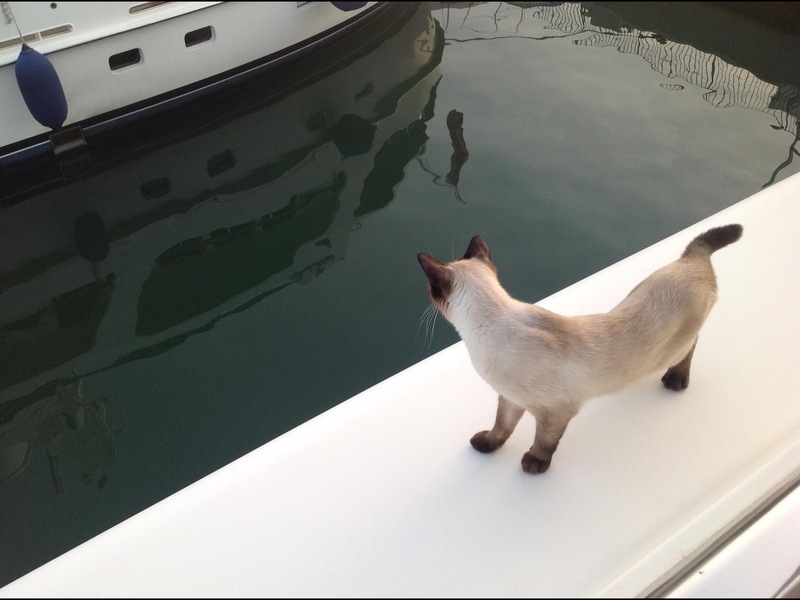 I name you a professional feline boat explorer! And I think you’re a lucky kitty, Bailey! 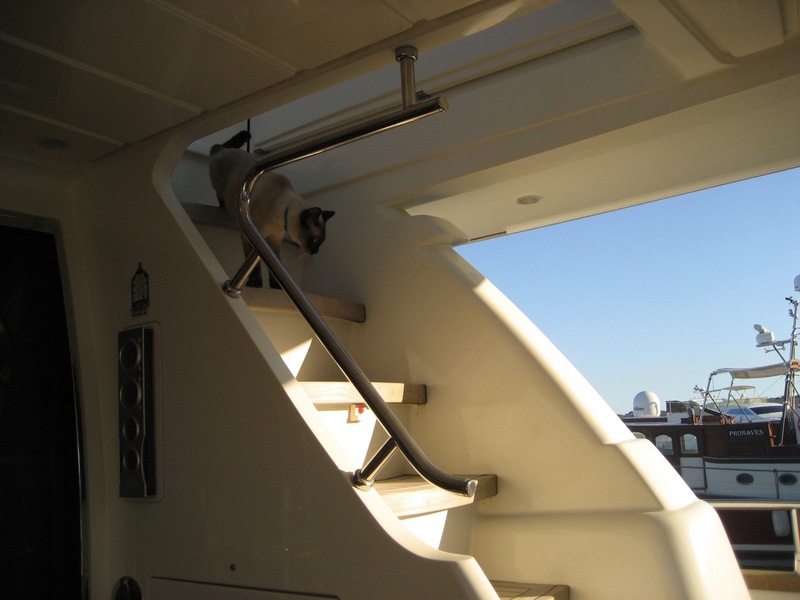 It looks like Captain Tony certainly has a beautiful yacht with lots of great kitty hidey-holes aboard……I’m sure you and your parents will miss Captain Tony a lot but you can dream dreams of all the good times you’ve had AND I bet you’ll see him again for a visit!! 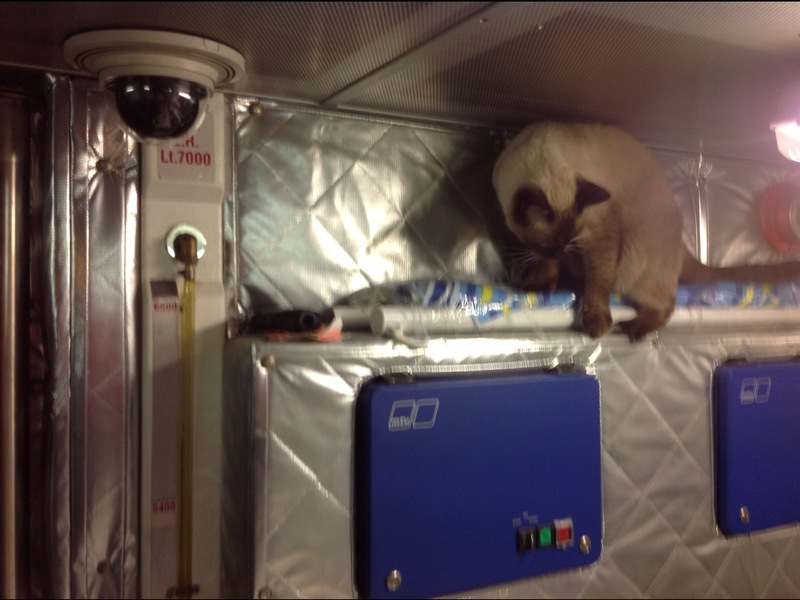 That engine room looks like a cool place to explore! He even has an iron down below…he’s prepared for everything! And you checked it all out. However does your mom and dad get out back out of that boat? Seems like you’d be lost in the bowels of the engine room.